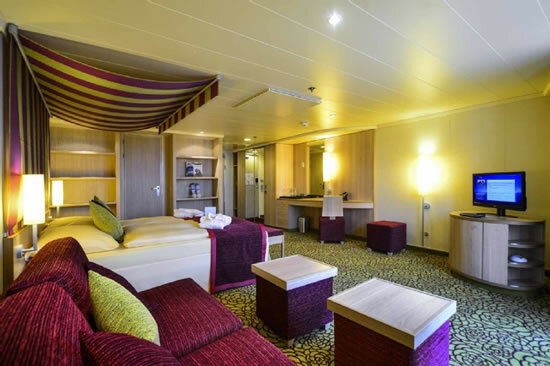 Osram has illuminated the tenth cruise ship of the Aida fleet with 9,000 lamps and more than 1 km of LED strips. The ship was inaugurated with the name of Aidastella as the tenth ship of the Aida fleet in Rostock-Warnemünde, Germany on 16 March 2013. In order that the star (Stella in Latin) can attain its full brilliance, diverse areas were equipped with specifically suitable light: 9,000 Osram halogen Eco lamps and 1,200 metres of flexible LED modules ensure both white and coloured light, and impress with a longer service life, the LED modules with 50,000 hours having an up to 50,000 times higher operating duration than standard incandescent lamps. 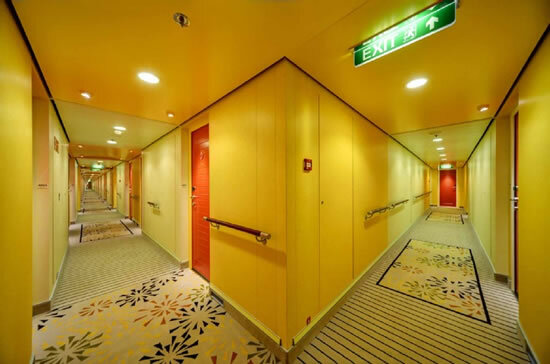 Cruise ships in terms of lighting are highly demanding, as in addition to energy consumption, bringing together the various types of lighting applications in restricted spaces is of high importance. High demands are also made on the quality and atmosphere of lighting in the cabins and public areas, restaurants, bars, shops and also of course in the sports and wellness areas. Because power is generated on board, a focus is also placed on energy efficiency. Whether for passenger cabins, bar areas or hallways, the light emphasises the atmosphere and also helps to make guests feel at home. The swimming city has a total length of 253 metres and a width of 32 metres, and offers space for 1097 passengers.